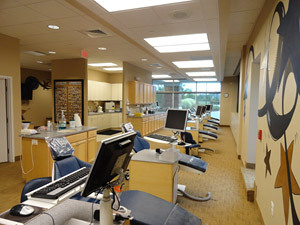 Designing Dental Offices is not 'Magic', but almost...! "A savvy and experienced Dental Designer can penetratingly interview, qualify, categorize and prioritize each dentist's requirements within budget and space constraints. When a clever Dental Designer can 'nest' all of the unique wishes and multiple criteria of a group practice, efficiently and rationally in an irregular space, resulting in a plan that excites, such an ideal solution seems truly 'magical'." True Form Design specializes in comprehensive functional design analysis that improves efficiency, productivity and the quality of care in your dental care facility.